It’s all over the news that the US is experiencing an opioid crisis and parents need to know how to keep their kids safe. The opioid epidemic does not discriminate based on race, gender, socio-economic background, or geographic location. It affects teens and adults from all walks of life and hits unexpectedly. Join Judy Davis and Sandy Fowler for an inside look at Jamie Nicole Dalton’s experience with prescription medications and how they impacted her life. Find out the steps you can take to help prevent this in your family or to manage it if you see signs of opioid abuse in someone you love. (For additional information on protecting your teen from prescription drug and opiod abuse tune in to Episode 4 here). Want more? We have extra interviews, real talk segments and bonus materials for our PATREON subscribers HERE. 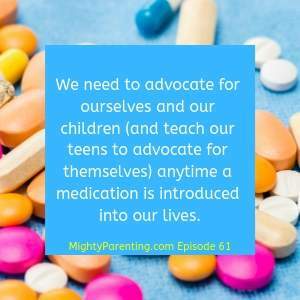 We need to advocate for ourselves and our children (and teach our teens to advocate for themselves) anytime a medication is introduced into our lives. Many addicts are young people who had a great life and were on track for success. Jamie became addicted in her 20s after dislocating her knee and receiving an opioid pain reliever. Without clear directions, she believed she had to take 2 Vicodin every 4 hours in spite of the pills making her feel nauseous. When she stopped taking them she experienced other uncomfortable symptoms and her knee hurt again so she took another dose and ALL the symptoms went away. She was addicted. Being from a “good home” kept Jamie from asking for help because of the stigma attached to addiction. When her legal prescription wasn’t enough to feed her addiction, she was pushed out into the “street pharmacy” and purchased illegal drugs. However, most of her pills came legally through her doctor. Her mom noticed her frequency of going to the doctor and that she was not herself—sleepy and not interested in the things she used to care about. When her mom and other family reached out to her, Jamie felt defensive and justified her actions. Eventually she agreed to get help but she expected it to be quick, a once-and-done in rehab. Three or four years into her addiction she knew she had a problem and told her doctor about it. Her doctor prescribed Xanax to get her out of her physical addiction to Vicodin. She became addicted to Xanax. Suffering from co-current addiction, depression, and anxiety, Jamie left her job and fournd herself at home all the time, depressed and even experiencing suicidal thoughts. After a serious suicide attempt, she realized she couldn’t recover from her addiction alone and would need ongoing support. When we have a physical dependency, we have to detox. We also need short-term follow-up support, possibly a sober-living facility or half-way house. Then we need long-term support like a 12-step program, therapy, or something equivalent. Jamie Dalton is Certified Peer Recovery Coach who works for the Non-Profit Organization, Care of Southeastern Michigan. 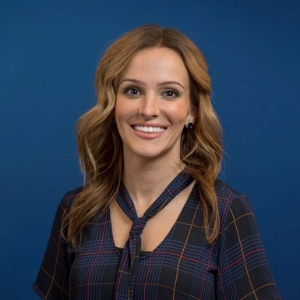 She works in the emergency room, helping connect people with substance use disorders to appropriate treatments and providing follow-up care and support to that individual. Jamie is an advocate for the recovery community and continues to spread the message that recovery from addiction is possible. Jamie is a graduate of Oakland University and currently lives in St. Clair County, Michigan with her husband Shawn. Want More? Get exclusive content and learn about ways to support the Mighty Parenting on Patreon!